Success! Mopiani from Tanzania raised $689 to fund a mass removal procedure. Mopiani's treatment was fully funded on April 18, 2019. Mopiani underwent a mass removal procedure. Mopiani’s surgery went well. She is now recovered and happy with the results of her treatment. Mopiani is a boy from Tanzania. He is the fourth in a family of five children. Early last year, Mopiani developed a swelling on his mouth. The swelling has been increasing in size, making eating difficult. Mopiani traveled to our medical partner’s care center to receive treatment. On March 5, surgeons will remove the mass. Now, Mopiani needs help to raise $689 to fund this procedure. Mopiani's case was submitted by Joan Kadagaya at African Mission Healthcare Foundation in Tanzania. Mopiani was submitted by Joan Kadagaya, Curative Medical Support Program-Partner Representative at African Mission Healthcare Foundation, our medical partner in Tanzania. Mopiani received treatment at Arusha Lutheran Medical Centre (ALMC). Medical partners often provide care to patients accepted by Watsi before those patients are fully funded, operating under the guarantee that the cost of care will be paid for by donors. Mopiani's profile was published to start raising funds. Mopiani's treatment was successful. Read the update. Mopiani's treatment was fully funded. 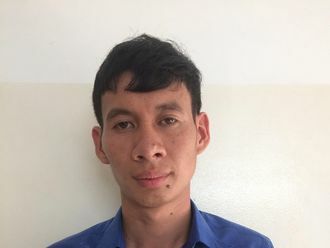 Pov is a 27-year-old factory worker from Cambodia. He has two brothers and a sister and enjoys doing work around the house in his free time. When he was fifteen years old, Pov had an ear infection. This infection caused a cholesteatoma, or an abnormal skin growth, to develop in the middle ear behind the ear drum. For this reason, Pov experiences ear discharge, pain, and hearing loss. Pain and ear discharge makes it difficult for Pov to work and do daily activities. Pov traveled to our medical partner's care center to receive treatment. On February 6, he will undergo a mastoidectomy procedure in his right ear. During this procedure, ENT surgeons will remove the cholesteatoma. Our medical partner, Children's Surgical Centre, is requesting $842 to fund this procedure. This covers medications, supplies, and inpatient care. His sister says, "I hope that the surgery will improve my brother's hearing and stop any ear discharge and pain."